Well, Christmas is upon us and so are all those holiday parties, events, and weddings. 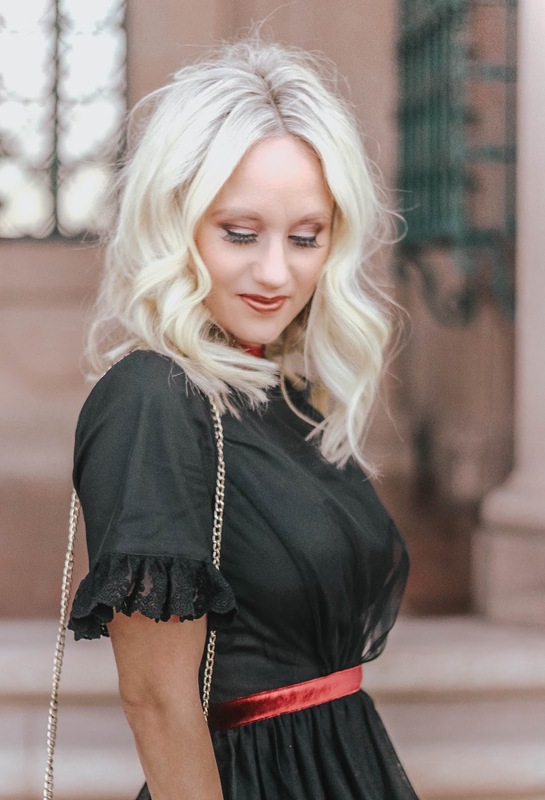 This dress is an absolute dream! Ah, I am just in love with it. I really love tulle. However, I hardley wear it, because sometimes tulle doesn't look so flattering. 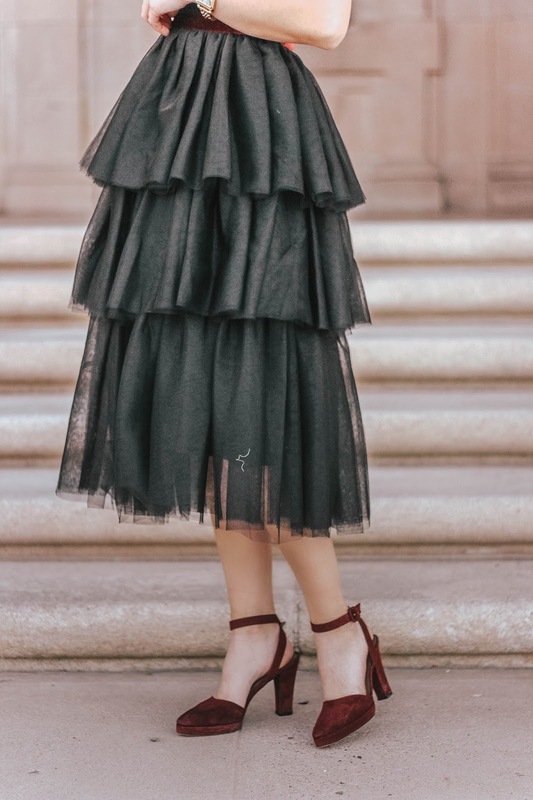 The tulle on this dress is lightweight and doesn't flare out to where you look like your wearing a prom dress. 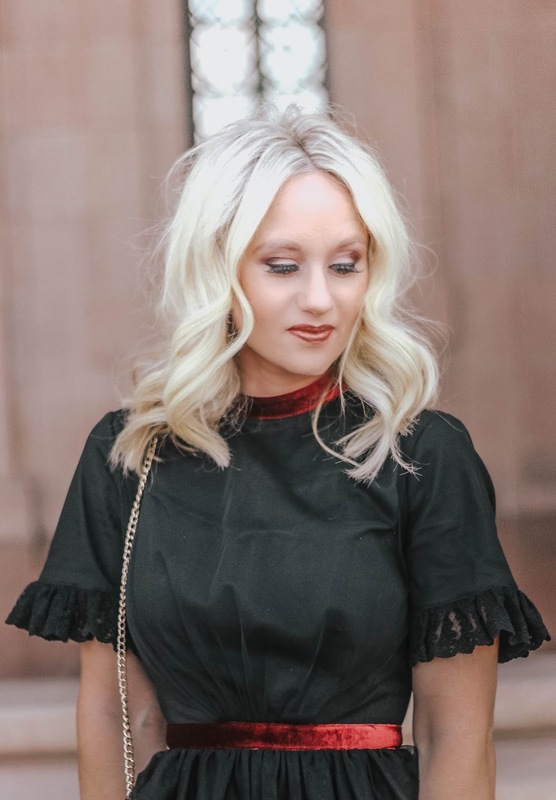 I love the maroon velvet trim on the waist and neck, that just adds a perfect touch of holiday. 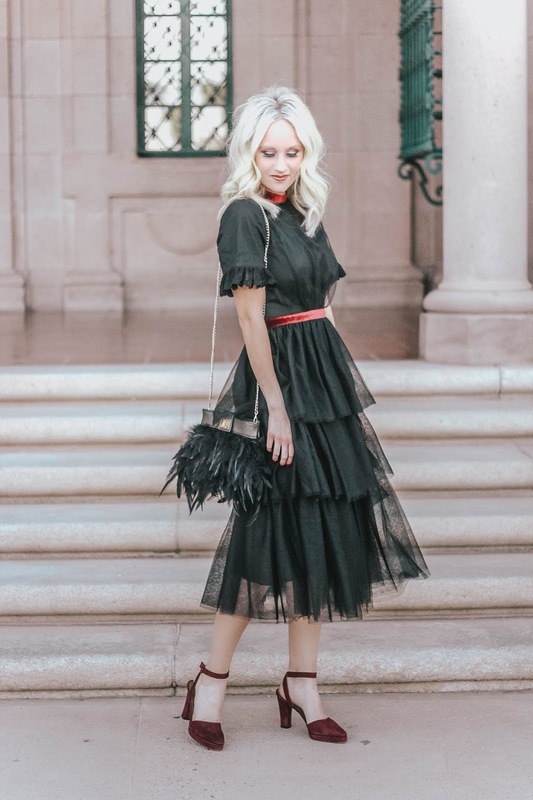 I am linking a few pieces from Rachel Parcell that are perfect for the holidays. Just click the product in the widget below.